The Australian whistle-blower and founder of Wikileaks has attacked Saudi-owned media al-Arabiya for what he called “absurd fabrications” after an article published by the media accused him of allegedly entering into agreement with Qatar to withhold the release of some sensitive information on Qatari officials for some “huge sums of money”. The article in question made claims about Qatar’s role in a number of scandals. It described an alleged Qatari conspiracy to undermine Bahrain; accuse Abu Dhabi of financial support for terrorists; alleged secret relations with Israel and a mutual agreement with WikiLeaks to block the publication of cables about Qatari support for three terrorists wanted by the US, Middle East Monitor (MEMO) reports. Assange was cited by Sawsan Al-Shaer; a Bahraini journalist and writer, for the conspiracy under which Assange would refrain from publishing two sensitive cables out of seven on Qatari officials. “WikiLeaks founder Julian Assange said he has seven cables about Qatar,” she said. “Only five were published while the other two were not after Qatar negotiated with the website’s administrator, who requested huge sums of money in order not to publish them as they contained dangerous information about meetings with Israeli and American officials and incitements against Egypt and its people”. 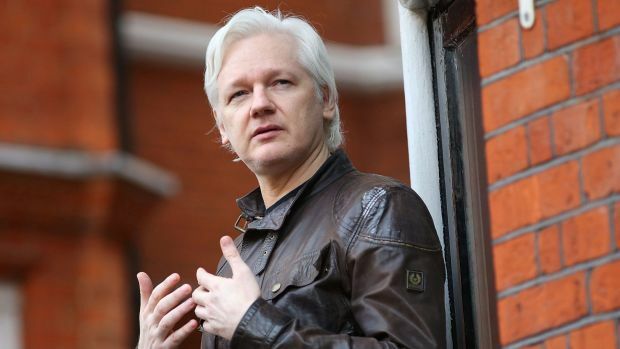 Assange took to tweeter to denounce the machinery aiming at involving him into the diplomatic row between Qatar and its neighbors, namely Saudi Arabia, United Arab Emirates (UAE), Bahrain plus Egypt. “The Al Arabiya network (HQ in UAE) has been publishing increasingly absurd fabrications as the UAE v Qatar dispute continues. One from today,” he tweeted. Qatar’s neighors and Egypt have severed ties with the tiny gas-rich country over its alleged support for terrorism and incitement for revolt in their territories. Qatar has rejected the accusations. The UAE-based Saudi media denied accusing the Wikileaks founder. In its defense, Al-Arabiya distanced itself from the article, saying that it was an opinion piece that originally appeared in Arabic in a separate Arabic-language newspaper, MEMO notes. Written by: KanelkaTagba on August 23, 2017. Posted by KanelkaTagba on Aug 23 2017. Filed under Headlines, World News. You can follow any responses to this entry through the RSS 2.0. Both comments and pings are currently closed.